The year is 1924 and the race to summit the world's highest mountain has been brought to a terrified pause by the shocking disappearance of George Mallory and Sandy Irvine, high on the shoulder of Mt. Everest. By the following year, three climbers - a British poet and veteran of the Great War, a young French Chamonix guide, and an idealistic young American - find a way to take their shot at the top. In a desolate orphanage in what remains of post-Communist Romania, a desperately ill infant is given the wrong blood transfusion - and flourishes when he's supposed to die. The discovery of his unique immune system may hold the key to the long-awaited cure for cancer and AIDS - and a link to a clan of vampires. 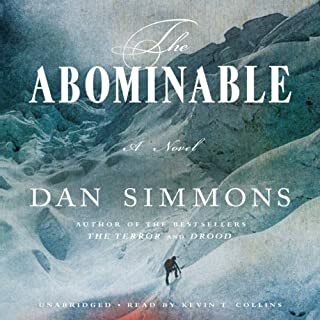 Just as he did in The Terror, Dan Simmons draws impeccably from history to create a gloriously engaging and terrifying narrative. Based on the historical details of Charles Dickens' life and narrated by Wilkie Collins (Dickens' friend, frequent collaborator, and Salieri-style secret rival), Drood explores the still-unsolved mysteries of the famous author's last years and may provide the key to Dickens's final, unfinished work: The Mystery of Edwin Drood. ordered an abridgment by mistake! Paha Sapa, a young Sioux warrior, first encounters General George Armstrong Custer as Custer lies dying on the battlefield at Little Bighorn. He believes - as do the holy men of his tribe - that the legendary general's ghost entered him at that moment and will remain with him until Sapa convinces him to leave. Jeremy Bremen has a secret. All his life he's been cursed with the ability to read minds. He knows the secret thoughts, fears, and desires of others as if they were his own. For years, his wife, Gail, has served as a shield between Jeremy and the burden of this terrible knowledge. But Gail is dying, her mind ebbing slowly away, leaving him vulnerable to the chaotic flood of thought that threatens to sweep away his sanity. Now Jeremy is on the run - from his mind, from his past, from himself - hoping to find peace in isolation. Once Joe Kurtz needed revenge - and revenge cost him 11 years in Attica prison. Now Kurtz needs a job, and the price is going to be higher. Out of prison, out of touch, Kurtz signs on with the Byron Farino, Don of a Mob family whose son Kurtz had been protecting on the inside. Farino enlists Kurtz's help to track down the Family's missing accountant - a man with too much knowledge of Family business to have on the loose. Darwin Minor travels a dangerous road. A Vietnam veteran turned reluctant expert on interpreting the wreckage of fatal accidents, Darwin uses science and instinct to unravel the real causes of unnatural disasters. He is very, very good at his job. Blood will curdle in Calcutta. In the most crime-ridden city, nightmares become real and evil is defined by frightening occurrences. When an American family finds themselves encircled by the terrors of this land, lurid events befall them and life takes on a new meaning - death. Winner of the World Fantasy Award, Song of Kali will chill the blood and frighten even the most jaded of horror fans. 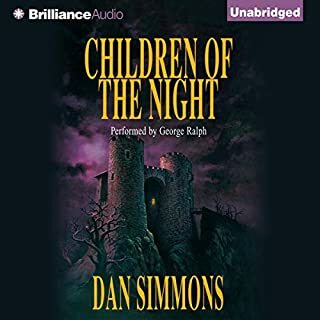 ©1985 Dan Simmons (P)2014 Audible Inc.
Simmons practically makes his setting into a major character in this subtle, unsettling novel set in Calcutta, India. Song of Kali is mysterious and though-provoking and like some of the best horror, a bit ambiguous. Simmons doesn't spell everything out for the reader and that works to the novel's benefit. This book is definitely worth a credit and the reading by Mark Boyett is superb. Horror is not my normal territory. It isn't my alternate either. As far as genre fiction goes I probably reach for a horror novel as often as I reach for a fantasy novel. 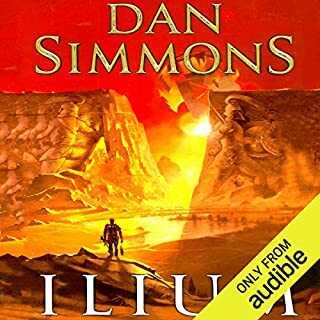 But this is Dan Simmons we are talking about. After reading Hyperion and The Fall of Hyperion, I was intrigued. 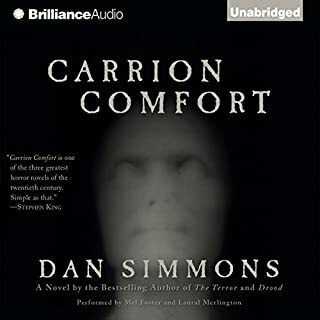 How poetic could Simmons make horror? How literate? 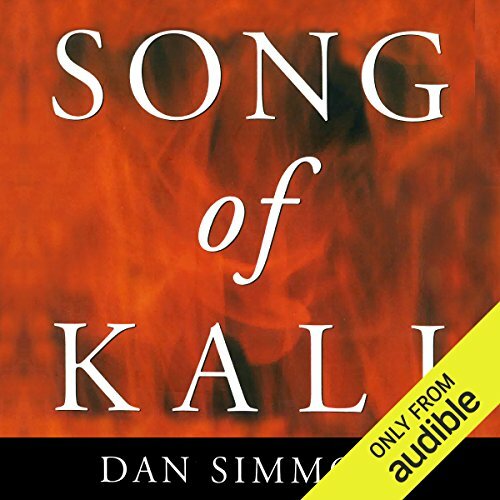 I liked the 'Song of Kali'. It was a good story. I'm just not sure I'd count it as great horror. It wasn't that scary. It was definitely more psychological and mental than most. It seemed like a strange mixture of H.P. Lovecraft and Stephen King, all with a big glob of Calcutta madness and poetic mysticism. Anyway, I liked it. 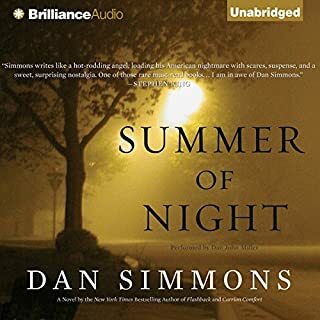 I'll keep reading Simmons when I want a vacation from the classics or an escape into literary genre fiction, but I don't think I will need to steel my nerves with any tonics or leave the lights on to go to sleep after I close the book at night. I might, however, rethink vacation plans to Kolkata and West Bengal. Screw THAT. More gross than scary. If you are looking for a good ghost story, this is not it. Excellent listen! Dan Simmons captures the essence and atmosphere of Calcutta expertly. A truly horrific story that seems more truth than fiction. The fate of a particular character seems pre-ordained simply that that character's inclusion into the story which is my only criticism of the plot. The narrator is absolutely superb going from American Mid-West, American-New York, to Indian accents with ease. One of the grimmest books I've ever read. The narrator did an excellent job with all the accents. I especially enjoyed the one moment of Punjab/cockney English. 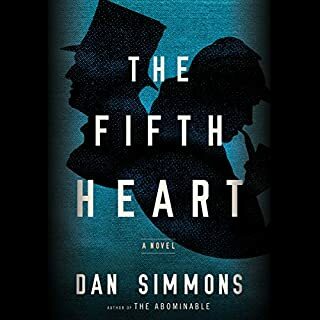 This is an early work of talented author Dan Simmons set for the most part in Calcutta, India. And it is definitely a horror story. The setting and suspense are very entertaining if you can overcome the voice in the back of your mind wondering why you would ever take a seven month old baby on a trip to Calcutta to find a may be dead poet. That voice will also wonder about some of the other choices the main characters make. Choices that I’m pretty sure I would not have made even back in the 80s. But if you can get over those blocks you have a terrifying good listen. It was much creepier than a lot of Simmon's work, but I personally thought it was excellent. Not for the faint of heart, however. top notch all around. excellent narration of a dynamic text. haunting and unsettling, I will be reliving scenes from the streets of Calcutta until Kali takes me. I found this novel accidentally. Like all of Simmons' novels that I've read, it fails to disappoint. Interesting premise and an intriguing first few chapters, but eventually the reader discovers that the author doesn't know what to do with the story, and this is increasingly borne out from the middle of the book to its unsatisfying end. What a fantastic story I really enjoyed this booked, when it starts you just know that this story is going to be very dark, and indeed it was, this is a very dark story and I must admit I did not expect the out come a little disturbing but well worth a listen. A brave journey into a scary Calcutta by the author as his first novel; culturally a stranger and Simmons makes that part of the underlying horror. Fear of the unknown is prominent here; my only reservation is it got somewhat unbelievably crazy and hence only three stars. Worth a listen but his Drood for me currently remains his best although unfortunately not yet available on audible in English. This is my first book by Simmons but I am now a big fan. His discrimination of India is just what I remember from travelling and his mix of detective story, thriller and supernatural tail is addictive. Although the supernatural element may not be as much as you expect this is a truly terrifying story.